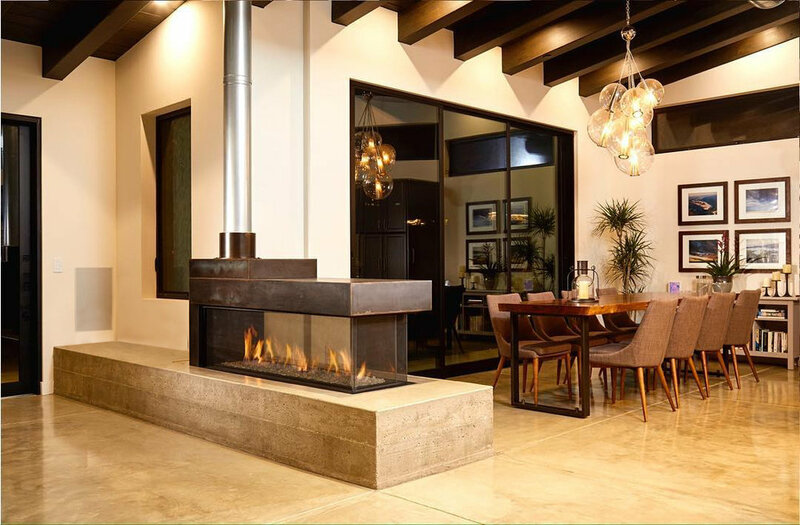 "During construction on my 8,000 s/f home in Rancho Santa Fe, I was looking for a craftsman who was knowledgeable about Hammered Copper. We were designing a very unique copper hood and once Todd Noe was introduced to the project, he helped re-design it to look better and to be more functional. I was so impressed by his attention to detail, design ability & timely delivery. I subsequently hired him to build my custom Hammered Copper bar and the Zinc counter tops for our laundry room. He was able to create consistent designs that complement the “antique ranch" style of my home." "I have worked with Todd on multiple projects in the North County coastal area. Todd has a unique ability to come up with solutions for very complex design issues. He has the design ability and a common sense approach to complete the project successfully. I highly recommend Todd Noe for any steel or metal project. He has made my customers very happy." -Kevin Miller, The Miller Building Co.
"Todd Noe is truly an inspired craftsman who can integrate metal fabrication with custom woodworking. I have never experienced someone who combines structural knowledge and capabilities with artistic execution with such great attention to detail. Todd is a big contributor to our award winning custom homes and collaborating with him is a pleasure. Todd resolves design challenges with a clean simple design solution, on time and on budget." "Todd’s work was very professional and the end result very beautiful. The benches he fabricated are the showcase pieces of our kitchen and the staircase and railing look amazing and will be long lasting. Thanks Todd." "I’ve been in this business and I can say without equivocation, you are one of the best subcontractors I’ve ever worked with. You are professional, thorough, timely and a real pleasure to work with."